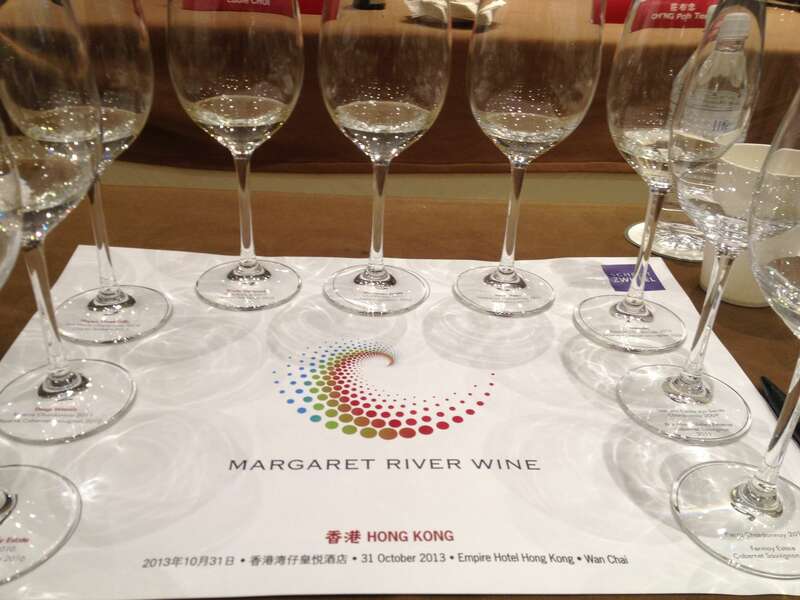 Having seen his picture staring back at me from the pages of Decanter and most recently having read his inaugural Margaret River Report from June 2013 it was with much interest I attended a tasting of Margaret River Wine with Ch’ng Poh Tiong at the Empire Hotel. 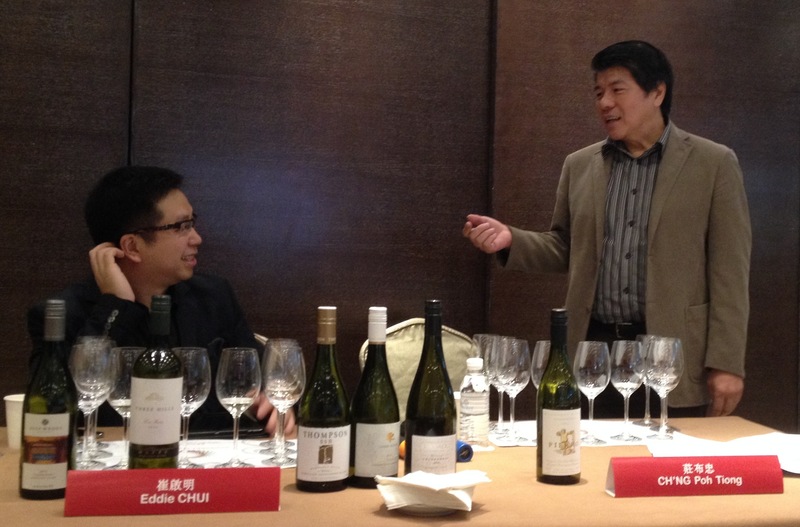 The format was a tasting of 8 white and 9 red wines as part of an open discussion between Ch’ng Poh Tiong and Eddie Chui, Co-founder and Editorial Director of Cru magazine. 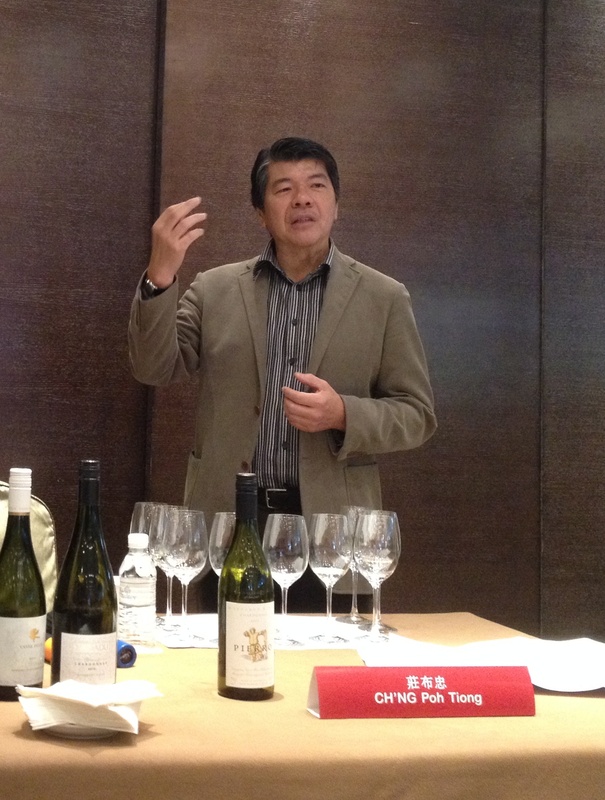 What immediately struck me was the ease with which Poh Tiong engaged the relatively large group of wine professionals – it was very much as if we were each having a conversation with him about the wines. And as one of the few people in attendance who did not speak Putonghua or Cantonese I was extremely grateful to all in the room who graciously selected English as the language to have that conversation in! The dialogue between Eddie and Poh Tiong spoke to a clear friendship and strong bond over their enthusiasm for the quality of wine produced in Margaret River. It is the latter point I find exciting – living in a city where Bordeaux reigns supreme it is refreshing to find other countries being hailed as producing equally interesting wines. Being so well versed in the wines of Bordeaux and to effortlessly draw comparisons between the two regions, it must be something of a coup for the producers from Margaret River to have in Poh Tiong such an eloquent supporter of their wines. Each bracket was selected for a particular characteristic shared, whether that be the use of winemaking techniques, the vintage, or specific aroma and flavour characteristics. The first white bracket was of two Sémillon, Sauvignon Blanc blends – a blend Western Australia is well known for. The Happs Three Hills and Thompson Estate were a good match with their contrasting styles. Each offering different stylistic representations of this blend – the Sémillon characteristics leading in the Happs Three Hills, where the freshness of the Sauvignon Blanc led the Thompson Estate before giving way to the Sémillon. The first flight of Chardonnay displayed different degrees of oak integration and bâttonage. All very good wines with the Pierro 2011 presenting an elegant balance of green fruit, citrus and some mineral notes within a frame of noticeable acidity and well-integrated oak. In the second bracket I particularly enjoyed the Vasse Felix 2011 with its nose of citrus peel and gunflint aromas, which contrasted nicely with the slightly sweeter spice, citrus and floral notes of the Xanadu 2010. Three flights of Cabernet Sauvignon from Margaret River certainly brought home the message of elegance and sophistication. As we progressed through each bracket the red and black fruits interwoven with spice and herbal notes came through again and again. Overall the structure was consistently one of elegance and balance, where tannin and acid met fruit and spice in equal measure. Hard to pick a favourite but my notes for the Credaro Family Estate 2010 were extensive both for the nose and palate, while I loved the spicy notes of the Rosily Family Vineyard covering dried herbs, menthol, liquorice and cinnamon alongside lots of lovely black fruit. So when you are next selecting a wine be sure to check out what Margaret River has to offer – you won’t be disappointed!